Your wedding cocktail hour is a big part of your big day! An hour, to be exact. While you will venture off to have photos captured with your bridal party, your guests will mingle with one another as they enjoy drinks and hors d’oeuvres. If you are planning your own wedding cocktail hour, there are actually some things that you will want to keep in mind. Are you aware of what they are? Kicking off your wedding cocktail hour with delicious drinks is a must. After all, you can’t have a cocktail hour without cocktails! 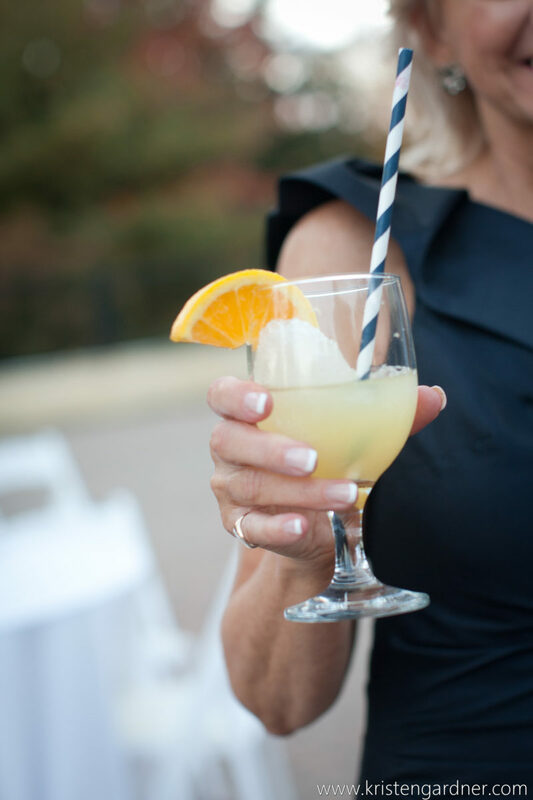 An open bar is always a wonderful option, as your guests can order any drink that they please. In addition, you can add some personalization to your drink menu by creating a signature drink. Take a look at our Bar Guide to discover the tasty drinks that we could serve at your wedding. You will certainly want to ensure that you have some delicious food to pair with your drinks! However, you will want to present light bites, so that you guests don’t get too full before your wedding meal. Hors d’oeuvres are always a wonderful option, such as pecan chicken bites or jerk chicken skewers. Take a look at our array of Wedding Menus to discover some delicious options for your big day. While dancing most likely won’t be taking place during your wedding cocktail hour, you can still create a warm and welcoming atmosphere with music! A live band or quartet would be ideal. In addition, you can present some unique forms of fun by booking a photo booth or even a caricature artist to keep your guests entertained. Your wedding cocktail hour should certainly be a success! These are just a few tips to assist you with planning yours. In addition, if you are all set to hire a wedding caterer in Baltimore, Maryland to present the food for your own cocktail hour and big day, please contact us here at Zeffert & Gold Catering! With a passion for serving one of a kind cuisine, we would be excited with the opportunity to create a custom menu for you. Error: Error validating access token: Session has expired on Friday, 12-Apr-19 20:42:14 PDT. The current time is Thursday, 18-Apr-19 05:16:31 PDT.